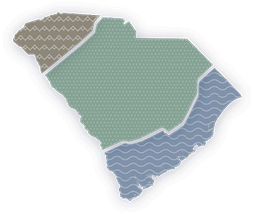 Enjoy fresh and locally sourced products in and from the Palmetto State. Whether you’re looking to enjoy a fresh catch or locally grown produce, South Carolina is the perfect destination to savor your next farm-to-table meal. From the mountains to the sea, uncover the farm-to-table movement in South Carolina. From the oysters harvested straight from the Atlantic Ocean to locally grown fruits and vegetables, South Carolina has always embraced the farm-to-table lifestyle. Find out where you can enjoy fresh and organic fare in the Palmetto State. Get a taste of the Palmetto State’s farm-to-fork offerings and come to find that you’re never far from a mouthwatering meal in South Carolina. Join the farm-to-table movement in the Holy City and choose from a variety of restaurants serving up unique and ever-changing menus with one-of-a-kind Lowcountry fare. You’re never far from a fresh meal in South Carolina’s state capital, but here is a list of Columbia’s very best restaurants and its farm-to-table culinary scene. Whether you’re looking to grab lunch with a friend or a romantic dinner with a significant other, Greenville’s farm-to-table culinary scene has you covered. From freshly caught oysters to Southern soul food, the farm-to-table movement on Hilton Head Island offers something fresh and delicious for everyone in the family. Sitting along the Grand Strand, Myrtle Beach offers some of the freshest seafood with its growing farm-to-table restaurant scene. Here you can find some of the best farm-to-table restaurants in South Carolina. Discover the farm-to-table movement sweeping South Carolina from the mountains to the sea. From local, fresh ingredients to unique seafood creations and ever-changing menus, you’ll soon understand what all the fuss is about. The Palmetto State is home to some of the world's best oysters. From raw to roasted on the half shell to oyster shooters, South Carolina has perfected the art of oysters. From sourwood to blueberry and blackberry nectars, South Carolina boasts quite a few honey flavors. Here are a few recommendations on where to go to get your very own authentic SC-made honey. Did you know that South Carolina is the largest peach producing state? With that being said, we know good peaches when we see them. Visit McLeod Farms to get some of your own.